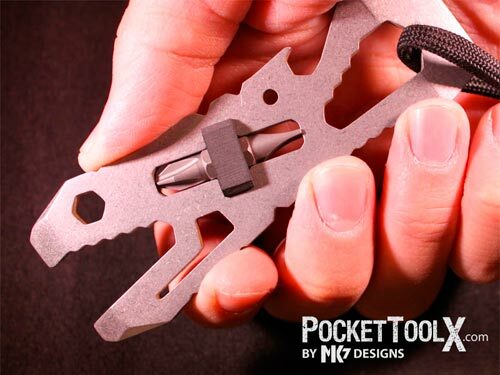 I hope you are not tired of reading about pocket tools here at Tool-Rank because they seem to be popping up everywhere these days. I don't know what the record is for the most tools in one tool per square inch, but The Piranha is probably pretty high on the list. At only 3 7/8” in length and .150” thick, the Stainless Steel Piranha packs a pretty hefty amount of tools. It features both open and box wrenches in six sizes ranging from 9/16” - 1/4”, a bottle opener, nailer puller, scraper, and even a hex bit holder with included Phillips and Flat head bit. If The Piranha is something you simply can not live without, you can pre-order your very own for $49. Did I mention they are made in the USA?